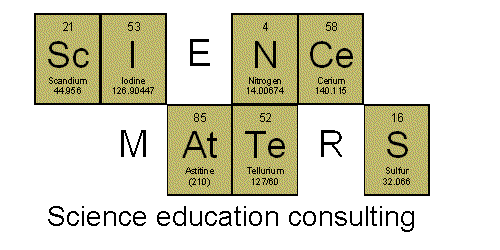 This activity comes from Science Spot. Visit her site to find a ready-made-worksheet (and spend awhile looking around... you'll find a whole year's worth of great activities). 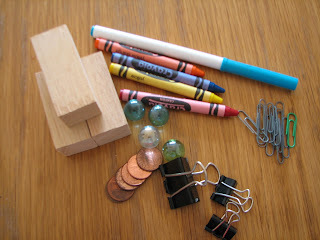 Provide students with a container of objects - I literally wander around my room gathering a collection of objects. Make sure you have objects that have a small mass (1 g or less) as well as larger/more massive objects (not pictured here), and that the sum of masses of all objects totals at least 400 g.
Students choose items (one or many) from the container that they believe will be closest to the target mass. After making their guess, they find the actual mass of the object(s) they selected.